For Puerto Rico, 2017 was a tumultuous year, and its student population was by no means immune to the hardship. Campus-wide strikes in the University of Puerto Rico system brought spring classes to a halt, and the widespread devastation left in the wake of Hurricane Maria made the fall term virtually impossible. These circumstances led many college students of Puerto Rico to look to mainland United States as a place to continue their higher education. 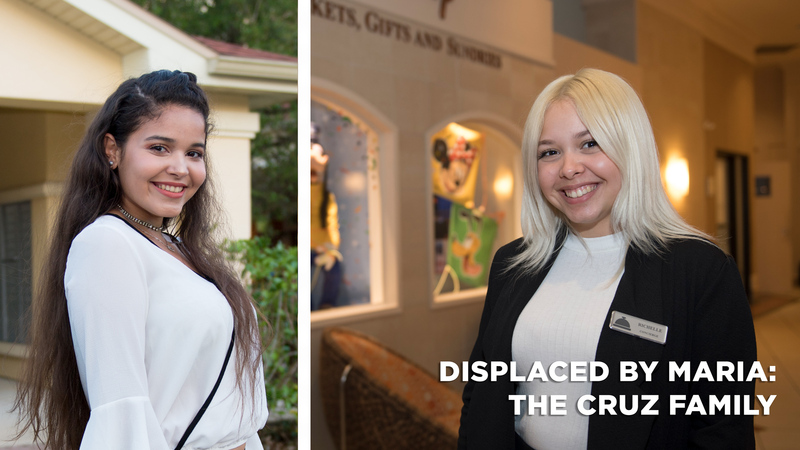 Upon hearing that Valencia College would be offering in-state tuition to students displaced by the 2017 hurricane season, Gricelle and Richelle Cruz, along with their mother Gricell, chose to make the leap to Central Florida. Watch the Cruz family recount their full story at the video below – from the destruction of Maria to the moment they stepped foot on Valencia College’s Osceola Campus. To learn more about the Cruz sisters’ journey – and that of other Puerto Rican students adjusting to life at Valencia College – visit VitaeOnline to read, “Navigating a New Course,” featured in the latest issue of the college magazine.